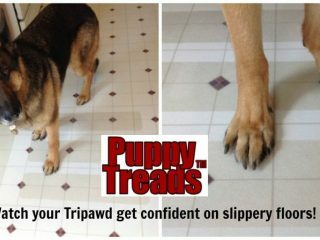 Keep your Tripawd and other handicapped pets safe on slippery floors and stairs with Puppy Treads, a new indoor traction decal product for the home. 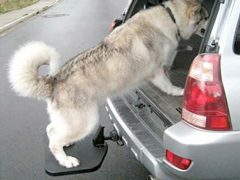 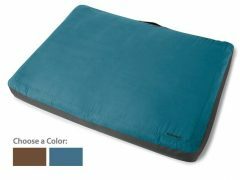 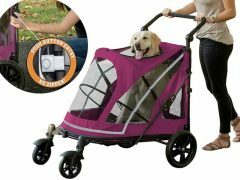 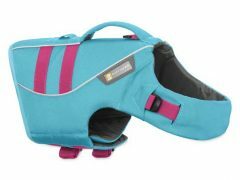 Help your three-legged Tripawd dog or cat travel to more places with these pet stroller suggestions. 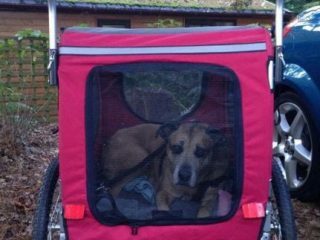 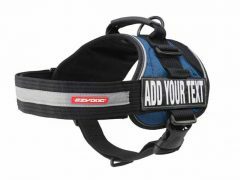 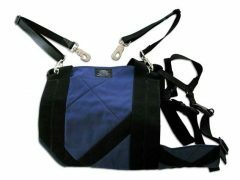 Why a Tripawd dog pawrent loves the Custom Pet Support Suit mobility harness for his German Shepherd, Scarlet. 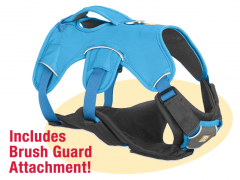 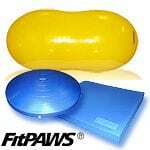 Get a Grip pet support suit and custom option helps three-legged amputee dogs after surgery, during recovery and beyond into senior years.